Author(s) Gaines, Jr, Stanley O. Few observers of relationship dynamics would dispute the claim of interdependence theorists that a defining feature of close relationships is the extent to which partners influence each other's thoughts, feelings, or behaviors. However, partners do not behave simply in response to each other's behavior; both partners in a given relationship bring themselves - indeed, their selves - into the relationship as well. Not only are individuals' selves enormously complex and rich in content, but so too are the multitude of personality characteristics, including traits, values, attitudes, motives, and emotions, that contribute to selves' richness. 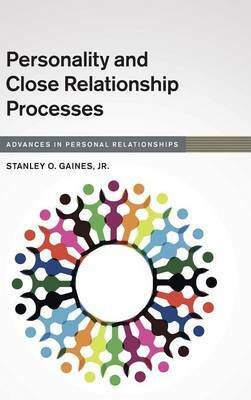 Gaines, Jr provides a major integration of research on personality with research on relationship science, and demonstrates how personality constructs can be readily incorporated into the two most influential theories of close relationships: attachment theory and interdependence theory. This study will be of value to scholars in the fields of close relationships, personality psychology, communication studies, and family studies.